Brushes, brushes, brushes. A godsend for flawless makeup application but they do come with their problems. If you go too cheap the quality can be poor leaving your face covered in brush hairs and an uneven finish. However for many people, students included, top of the range brushes are out of the budget which means that hunting down reasonably priced brushes of good quality is a mission for many! 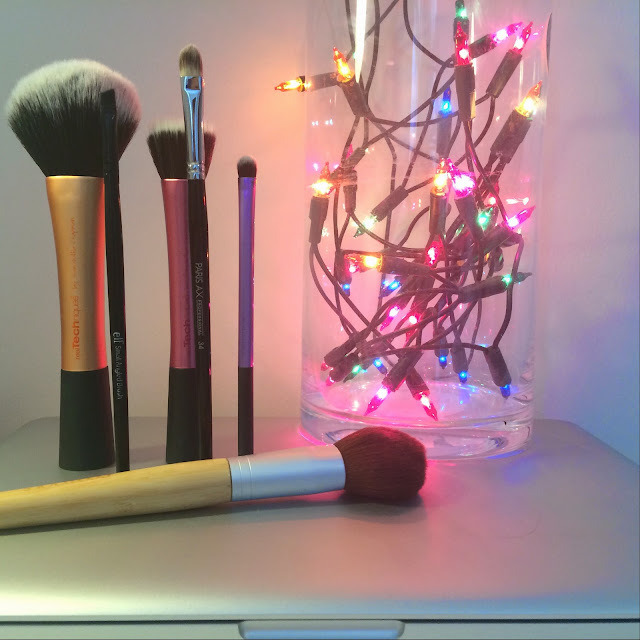 As a budgeting student I feel I am in a great positions to share with you what I have discovered along the way in relation to makeup brushes! Here are my top 6 brushes and some tips for buying them! 1. Real Techniques Stippling Brush - a great brush for foundation and blush. I like the light effect it can give with blushes. 2. Real Techniques Shading Brush - a great all over eye brush. I use this when I need to be quick. 3. Real Techniques Powder Brush - great for powder and bronzer. I think I just love Real Technique brushes!! 4. Eco Tools Blush Brush - stole this from my mum because she never used it. It is incredibly soft and applies and blends blush really well. 5. Paris AX 34 - concealer brush - I found this in TKMAXX at about £3! I don't use it to conceal but to apply eyeshadow as it work well for lining the eye and in the crease! 6. Elf Small Angled Brush - a cheap and simple brush to help aid poor application of liner!! - Always shop around when buying brushes, especially if you know what you are looking for. For example many of my brushes I have found in TKMAXX at a much cheaper price than in Boots or online. The packaging may be outdated but that's not what matters really! Also check out blog sales as people will often sell unused brushes and as long as you deep clean th before using them they should be fine! - Know what you are looking for. I have often bought a brush on a whim and then found that it wasn't useful in my routine and have therefore wasted my money. - Always have a look at blogposts reviewing brushes as they will more than likely give you an honest opinion on how the brushes perform. It will save you a lot of time and money. It has definitely been a roller coaster this year! In the space of 10 months I have packed up my life, moved 100 miles away from my family, and settled in perfectly into a new city. It's had its ups and downs but there have been some amazing moments which won't be forgotten. As a memory for myself and a way to share my experience with those who are yet to journey into the world of Universities (or those who have left and want to live vicariously though me! ) I am going to journey back through the year with the help of photos and memories! I have been studying Human Geography and have loved it. Some parts aren't what I expected them to be however the people I have met have made up for any of the small hiccups along the way. 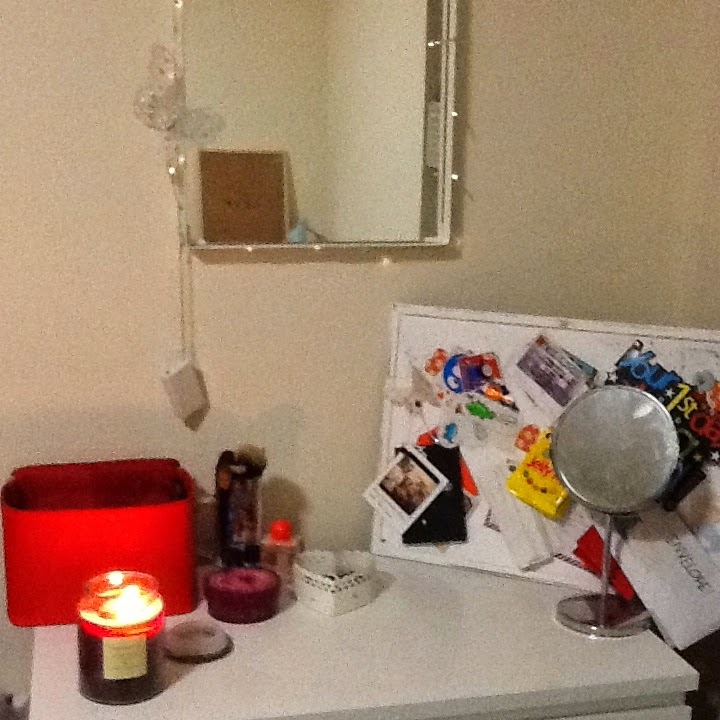 The work was manageable and being an organised person gave me a head start! I am so excited to see what will occur next year when I actually pick my modules myself! Christmas came ever so quickly and coincided with my first every holiday abroad without my parents (or school)! I had an amazing week skiing with the Uni Snowsports Society and 3 amazing girls (2 of whom I'd never met before!). If you have the chance I would 100% recommend taking the plunge and booking a Uni ski holiday! It was a great experience and I hopefully will be able to make it again next year!! The next milestone was a visit to Warwick with Cardiff Brass Band! ( I know, completely nerdy!) A small weekend break left us coming 5th nationally and two minibuses full of hungover students! It was an amazing time spent with some great people and I can't wait to go again next year!! Since around February workloads increased but I managed to keep up with socialising! This year I was part of the Baking Society and the Harry Potter Society, along with Band, so I had many things to do during the week! Now that it is all over I feel very excited about what is to come in the next couple of years and have started to think about life after Uni - I still have no idea what I actually want to do!! If you read this far well done! I applaud you!! Have any of you just finished your first year of uni? Or any other school year!? I hope that once back in Cardiff I can do some more posts on the things I get up to!! Summer NOTD for Short Nails!! This week I've had a bit more time to relax as exams are finally over and all I've had to do is pack all my stuff away and clean so I sat down with all my polish and went full speed ahead in nail designs for many future posts/instagrams! The base was two coats of Barry M Espresso, which is a beautiful matte black colour! It is nearly opaque in 1 coat however I added a second just for safety! I chose matte because I though it would contrast nicely with the shiny finish the flowers would have! The flowers were achieved with the help of a very mini dotting tool (you can buy these from ebay for a couple of quid and Iw url so recommend them! they are so handy!!). Using a small ended dotting tool I went along all of my nails colour by colour as I felt it would look more sleek if all the nails has the exact same flower placement. The placement was completely random but I think it works well! (A little warning - some colours were hard to see on top of the black so I had to go through a few different ones before I settled on the four I chose.) The white was then used to create a centre for the flowers! I hope you enjoyed this post! Would be great to know if you would like to see more! What do you think of this look? Have you got shorter nails and struggle to paint designs on to them? With my first year of University coming to an end a lot of goodbyes for now have been occurring as all the friends I have made over the year depart back to their own little corners of the UK. On one of these occasions a few friends and I decided to start from the conventional 'going out' path and visit a local cocktail bar. It was nothing extravagant but I though I would share my experience with you all, just in case you ever find yourself in Cardiff! 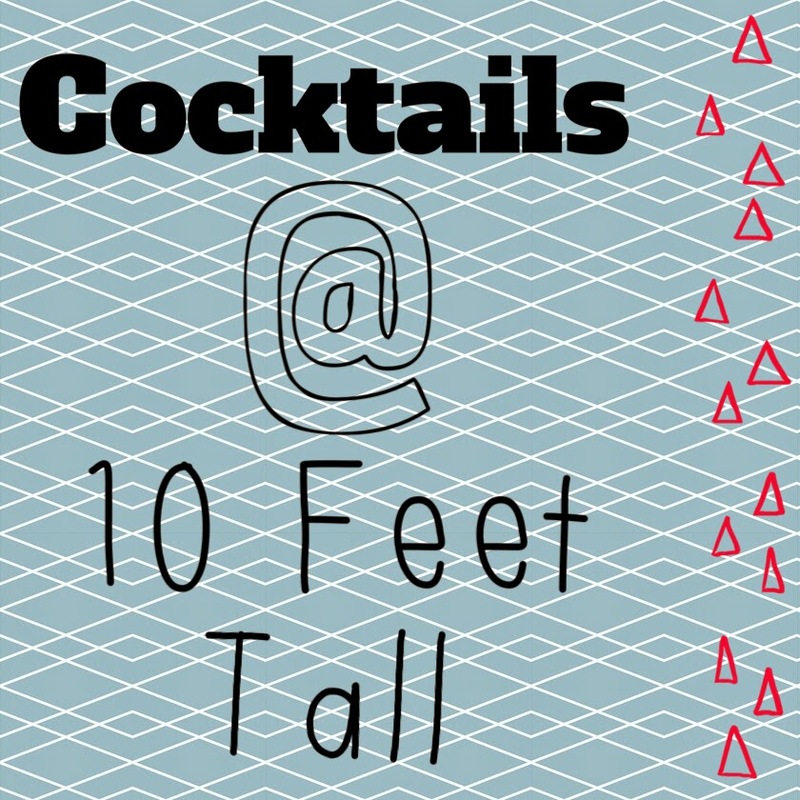 10 Feet Tall is a small venue which claims to serve cocktails, tapas and music every night of the week. It's location is apart from the usual clubs and bars but it is still extremely central within the city centre. Inside it has two floors with an array of seating for those who are in for the long haul to those who are popping in for 1 (or 2..3..4) drinks! Sounds pretty good so far ey?! The best thing though is the 2-4-1 or 2 for £10 daily offers on a select menu of cocktails! These range from the classics - Long Islands and Cosmo's - to the more individual - Zombie and Japanese Slipper (A sickly sweet watermelon concoction). Although the menu isn't limited to these. Away from the offers the bar staff can whip up cocktails such as the Singapore Sling (I would highly recommend this cherry flavoured Gin based drink), a Grape Smash and some signature cocktails. We visited on a Thursday night so the bar wasn't packed but it was busy. The vibe was great, with a live DJ offering some classics (maybe due to the group of oldies dancing themselves into oblivion! ), and loads of Uni students enjoying a night off during exam period. There is a club downstairs for those who fancy dancing the night away after a few drinks too!! If you are ever around Cardiff and in need of a cocktail fix I would highly recommend giving 10 Feet Tall a try. It is reasonably prices but still offers a wide range of well made cocktails (and other alcoholic/non alcoholic beverages) in a venue with a greta atmosphere! 10/10! !